National unity is a good option for the people of Afghanistan and we should not waste time, but use our brains and select the best way for the country to achieve it. Why did we need to bring US Secretary of State John Kerry to help mediate this? Because we cannot solve the issues of our country inside the country. We have intelligent politicians, thoughtful professors and experts to help, but the ethnic issue is the most complicated issue in our country and it is not getting solved. I wish that our bright-minded new generation would pay attention to this issue and solve it. 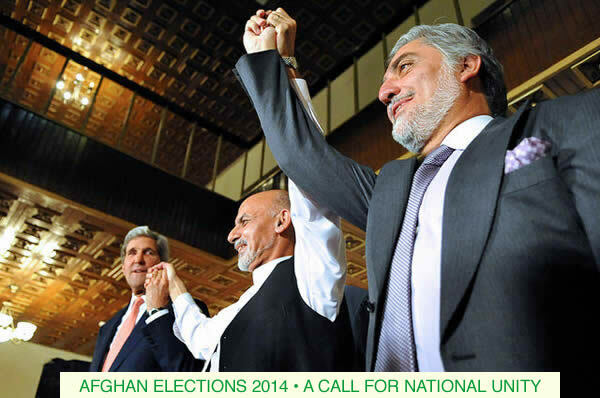 National unity for Afghanistan is the best path we can choose. Our candidates have said how they always listen to the voice of the people. So listen now and get an end to all these disputes that are causing more problems for the people. It has been six months since the presidential election. With all the time and money spent on two rounds of elections, important projects have gotten lost in the delays. Our budget could be used in a better way. People won’t vote again. The people who have authority over the elections are using it for their own benefit, not the nation’s benefit, and they are not listening to the people’s voices. I ask our new leaders to please agree and accept a national unity government for the good of our nation and country.